On January 31st 2012, the third section of the European Court of Human Rights issued a judgment in the case of Sindicatul Pastorul cel bun c. Roumanie (no. 2330/09) whereby it determined that the refusal to register a trade union established within the Orthodox Church was contrary to freedom of association guaranteed by Article 11 of the European Convention of Human Rights. The Romanian Orthodox Church has publicly expressed its wish that the matter is now referred to the Grand Chamber for a new trial. 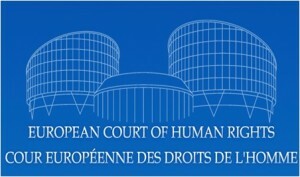 The European Center for Law Justice intervened in the proceedings as a third party before the Court. Before examining the detail of the legal problems specific to the case, it must be noted that this judgment illustrates the tendency of the Court to behave as a fourth instance, in opposition to the principle of subsidiarity, and to lack clarity and coherence in its case-law. In this case, the Court substitutes its own assessment of the facts and interpretation of the domestic law to those of the domestic courts on an important issue. Moreover, this judgment contradicts principles well-established in case-law, including that of the Grand Chamber. Finally, it lacks clarity. In this regard, the relative confusion of the reasoning, backed up by case-law references very often accompanied by “mutatis mutandis”, must be underlined. The reference used to support the cornerstone of the reasoning was deemed “extensive, not to say clearly creative”. All this seems to indicate that the process underpinning this judgment was somehow teleological. If the Section really intended to contradict the previous case-law of the Court on these issues of principle, it should certainly have applied Article 30 of the Convention and relinquished jurisdiction in favor of the Grand Chamber. These problems suggest that the wording of this judgment was not given all the necessary care and that a referral to the Grand Chamber is imperative. Beyond the facts of the case, the judgment of the third Section is problematic because it changes the doctrine of the Court regarding important aspects of the protection of religious freedom. Among other problem areas, this judgment analyzes the facts not in terms of religious freedom (protecting the rights of others), but in terms of public order. So without asking whether the non-recognition of the union could be justified by respect for religious freedom of the Church, the Section was satisfied to certify that the union did not constitute a threat to public order and democracy, and that, therefore, it should have been legally recognized. In order to do this, the Section linked the respect of the rights of the Church not to religious freedom, but to public order: that is the Court’s fundamental error. The second major problem of the judgment, which follows in part from the first, is the calling into question of the incompetence of the State in religious matters, an incompetence which is the foundation of the legal principle of the institutional autonomy of the Church from the civil authorities. More generally, the misunderstanding by the Court of what the Church is, as a sacred institution, and of what priesthood is, as a relationship between a priest and his Church, leads to considering the Church as a private employer, and priests as mere employees. Thus, the Court proceeds to a legal secularization of the Church and the clergy. The argumentation of the Section in this case suffers from glaring weaknesses, as much in its assessment of the facts, as in its legal analysis. In contradiction with the well-established jurisprudence of the Court on several key points, it calls into question essential aspects of the protection of religious freedom as guaranteed so far by the Convention, without any benefit for union freedom. Indeed, once the union is legally recognized, could the European Court of Human Rights force the Church to co-operate with it? Would these trade unionists have the means of industrial action? No, unless one entirely distorts the Church and priesthood, as the Soviets already did in Romania with the creation of the “Democratic Union of Priests” in 1945. For these reasons, developed in the brief accessible here, the European Center for Law and Justice, as an organization devoted primarily to the defense of religious freedom, hopes that this judgment will be referred to the Grand Chamber to be retried. In expressing this wish, the purpose of the ECLJ is to contribute to the respect for religious freedom and the quality of the case-law of the Court, which are both affected by this Third Section judgment. Grégor Puppinck, Ph.D., Director General of the European Center for Law and Justice, a Non-Governmental Organization in Strasbourg, which took part into the case Lautsi v. Italy. The author is expert at the Council of Europe and takes part in the Committee of Experts on the reform of the Court.